In my previous article, you learned about some of the backend service providers available today and what types of features you can expect from them. Now it’s time to start working with one of them in detail! 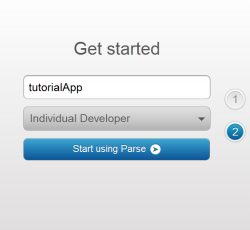 In this part of the tutorial, you will build an app using the Parse backend service. You will build the same Photo Sharing app from the previous article – including user logins, photo uploads, and a photo wall. But this time, all the BaaS functionality will be added step-by-step by you! To keep the focus on Parse, you’ll begin with a starter project that has the user interface pre-created, but no capability to upload or download any images. 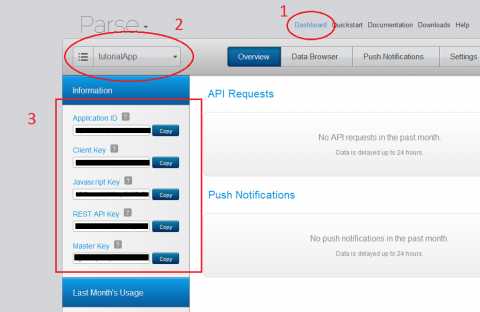 You will add the Parse service piece by piece until you have a functioning app. 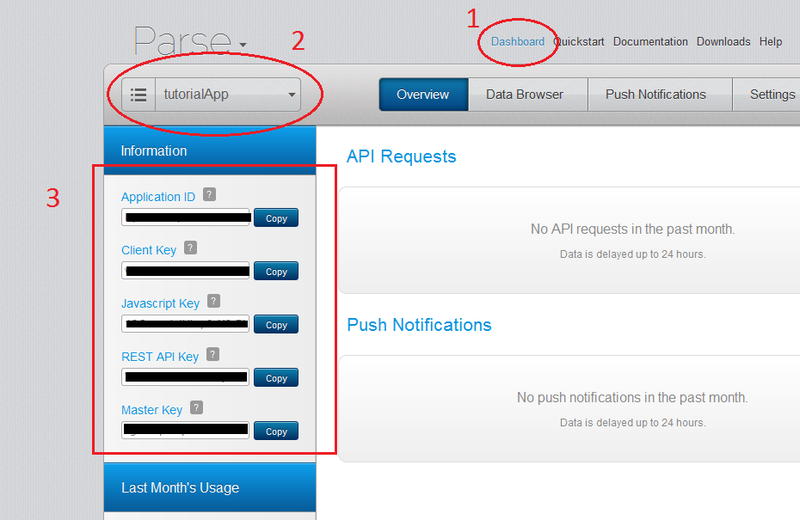 Your first step is to visit Parse.com and click Sign Up to create a new account. Once the account is created, you will be asked to create your first app. Every app you use with the backend must be registered separately. In this case, call it “tutorialApp”; hundreds of apps may exist on Parse with identical names, but only one instance of that app will be registered to you. Overview: Here you can find statistical information about your app such as its traffic, the push notifications sent, or number of API calls made. Data Browser: This is where you can see all the data that has been uploaded to your backend. You can also see the users, and you can manually manipulate the data; it’s very much a basic database editor. Push Notifications: Use this section to send push notifications to all your users, or to send a push notification to a select group of them. Settings: You can change the settings of your app, manage its security, and export your data from here. In order to concentrate on the backend services in this tutorial, a base project is provided to make getting started easy. You can download it and add the Parse calls as you go through the tutorial. It is located on github. Update 12/4/12: Scott Gardner has kindly provided a slightly refactored version of the base project here, with Modern Objective-C syntax and a few other improvements. Open up the project in Xcode and build and run! The first thing you will see is a login screen. However, there is no back end yet to handle this, or the other parts of your app! You’ll create these functions shortly. Before you proceed any further, have a look at the structure and flow of the app by opening MainStoryboard.storyboard. 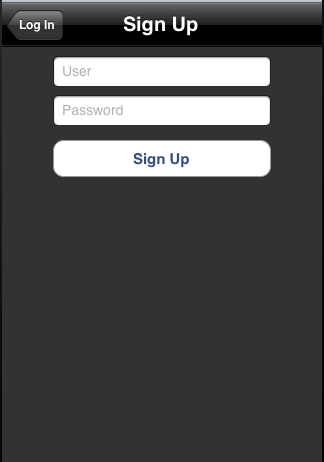 Log In: Login screen with user and password text fields. There’s a Sign Up button to go to the Sign Up view in case you want to create a new user. Wall: This is the main screen of the app. Here, the user can see all of the images that other users have uploaded, the creation date and the comment associated with them. Upload: In this view, the user can upload his own images to the wall and add a comment. Once you have downloaded it, unzip it and drag the folder Parse.framework to your Framework folder in the navigation menu of your Xcode project, and add this framework to your project. When prompted, check “Copy items…” and “Create groups…”. Not sure how to do this? You’ll need to add each framework to the target’s Link Binary With Libraries section, under Build Phases, with the Project and the Target selected. If you miss anything, your code will compile but the linker will fail; the usual symptom is a bunch of weird names reported as not found. If that happens, go back and double check the libraries you’ve added. 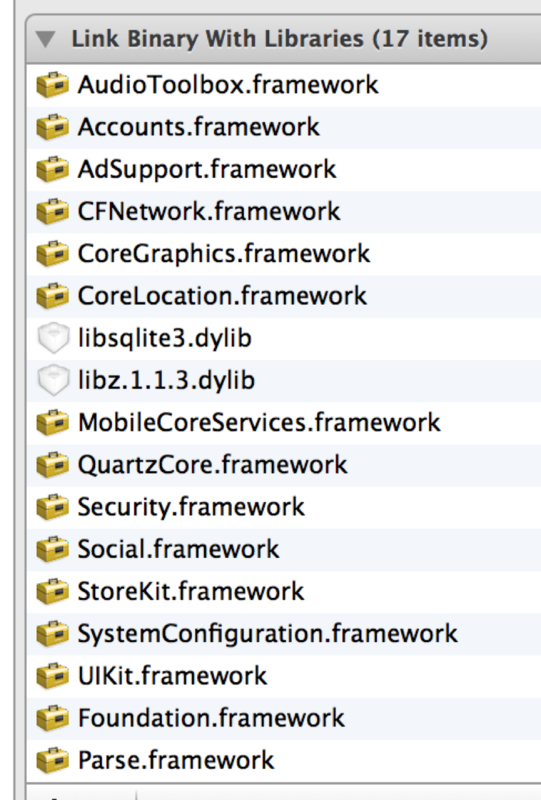 Xcode may not put all libraries neatly away in the Frameworks folder in the Project navigator, so drag any that are left cluttering up your source files there manually. Build and run the app! Check that everything compiles and runs without error. If so, then it means that your app is registered with the Parse backend and connected. You are ready to work with the service! Now that your project is configured and connected with Parse, take a minute to go over the following concepts about sending and retrieving objects from the backend. You can create a new project for this, by following the steps that you used previously, or you can alternately use the AppDelegate in the base project. Every object you upload to Parse becomes an entry in the database scheme that you have defined for your app. Think of these objects as being somewhat like NSMutableDictionarys – you store data in them identified by key, then you can retrieve your data with those same keys later on. In this example, you will upload an object called “Player”, with “Name” and “Score” as fields. So in your database, you will have a table called “Player” with all the objects uploaded with that name. You’ll see this with the example calls below. In this line you create the object and give the object a class name of “Player”. Here you assign the values to the fields. Your player has a name of “John” and a score of “1230”. Here you save the object. 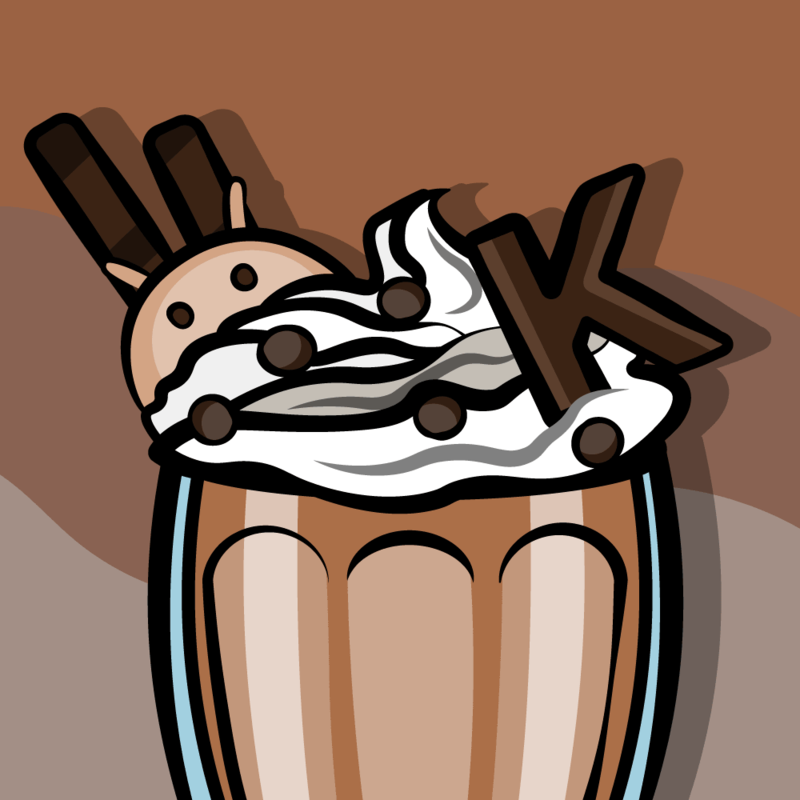 This will send the object to the server in synchronous mode. 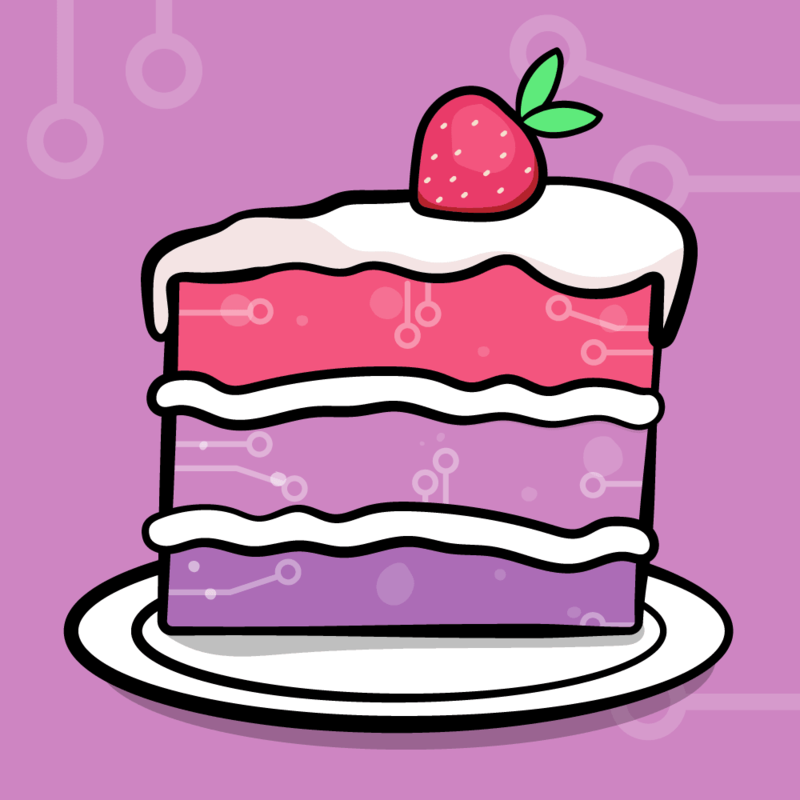 Build and run your app! If you put your keys into the code properly, and your app properly registered with the Parse service before the object is added, then everything should run without issue. But as you may have noticed, there was a warning message in the console. Your app is blocked until the object is completely sent, as this is a synchronous network operation! Not only can you not check the result of the call, your user is stuck waiting for it to complete with an unresponsive API. That wouId give you an instant 1-star rating! :[ Of course, there is a way to fix both of these problems. As you can see here, you are using asynchronous mode to upload the object, and you are checking the result in a block. You should be familiar with blocks by now as they are becoming more and more common in iOS; even simple UIView animations are done in blocks now. Fortunately, there’s a great tutorial site where you can refresh your memory about important language features like this – right here! :] Take a look at How To Use Blocks in iOS 5 Tutorial – Part 1. Build and run your app! Check the Parse Dashboard to see if your object was correctly sent to the server. The difference this time is that your app is not blocked while the object is being uploaded to the backend. You should notice that the network activity indicator in the device (or simulator) appears and the login screen pops up while it spins. A short time later, once communications are complete, you will see the NSLog message appear in the console. This will prove to be really useful when uploading images, which take much longer to transfer. Like before, go to the Data Browser and you will see the object transferred asynchronously alongside the first object which was transferred synchronously. Here you create they query object, the name will be the name of the table where you want to look. Send the query, and print the result in a block. Go back to the base project if you were working on the other project, or comment out these lines in case you were working in the main project. The first step that your users will encounter in your app is to register themself as a user! As you can see, right now the view doesn’t do anything apart from being opened and closed. 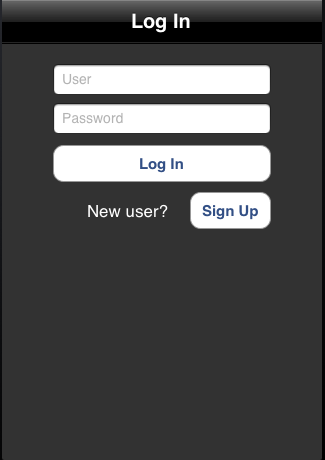 Your mission is to implement the functionality for user registration when the user touches the “Sign Up” button. As you can see, you will need to add the code that will register a user, and check if the registration was successful. Create a new object PFUser. This class will be used for login and register processes. It will store your authenticated user, so you can access the data for this user any time you want. 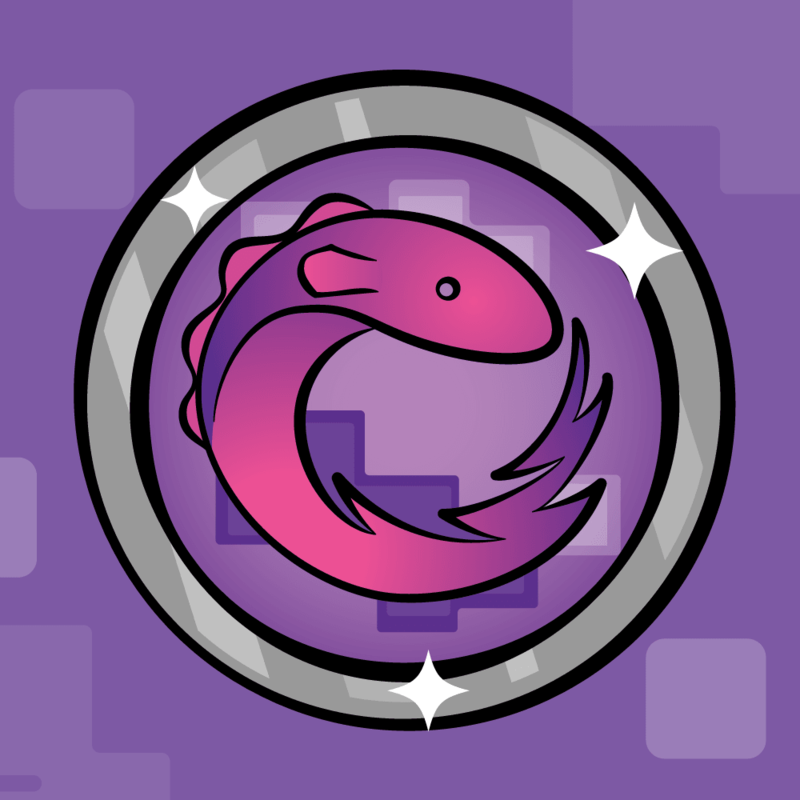 You can find the documentation about the PFUser class here. Assign the username and password to the user object from the TextFields in the view. Call the method that will register the user in background, and check the response in a block. There’s two possible responses here: the response is ok; and your user is created and logged, so move to the wall view. Or, there was an error, and you can show the user a description of the error. Build and run the app and check for errors! Enter the name and password of the new user, and press the Sign Up button. If everything went well, and no errors were received by the registration process, the app will move to the wall view. In this section, you’ll learn how to login with the user you created in the previous section. As you can see the process is quite simple, and very similar to the registration process. Try to log in with the same user you created in the previous section. If everything goes well, your app should move to the wall view. are going to see the pictures that all the users of your backend service have uploaded, with comments attached. Parse makes it easy to upload files. Take a look at UploadImageViewController.m which is where you’ll do the work to upload files. A logged-in user can tap the Upload button on the Wall view; it’s the rightBarButtonItem. Walking through UploadImageViewController.m, the process for uploading a file is discussed below. The user can enter text in the UITextfield commentTextField that will be attached to the picture. If text is entered here it will appear as a comment on the image – it’s optional. This is already done for you! Now it’s time to add the code that completes the implementation of the sendPressed method. This is the action linked to the button on the Navigation Toolbar that will send your picture and comment to the server. The process is divided into two parts. First, upload the image using a PFFile object; second, attach it to a PFObject and upload it to the server. Create the PFFile object with the data of the image, and save it in the background. You can check the progress of the upload at the end of the block. If successful, create the PFObject that will contain the image and the data, and add the file, the username, and the comment to the object. Save it in the background. Press Select Picture to select a picture from your gallery. When it’s selected, write a comment if you like, and press the Send button. Now go to the Data Browser and view the object in your new table called “WallImageObject”. Hooray! But wait — you can’t see it in the app yet! 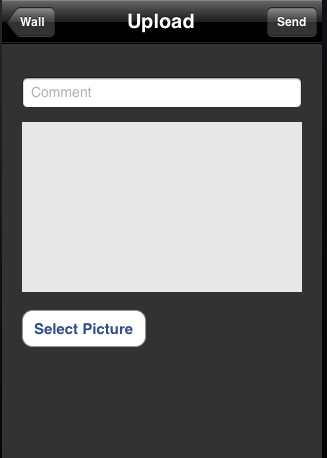 The WallPicturesViewController.m view will show all of the pictures that your users have uploaded to the server. Create a simple query with the name of the object you want to retrieve. Put the objects in descending order using the creation date. Find the object that matches the query. In this case, show all the objects of the type WallImageObject. If everything went fine, replace the content of the instance variable wallObjectArray with the downloaded content. If not, inform the user of an error. The first step is to clean the scrollView of any other UIView that may be there, for example, if you reload the screen. Then you use fast enumeration to go through the whole array of objects. Every element in the array will be cast to a PFObject, with one of the object values being a PFFile. Get the image object (cast it to PFFile) and put it in a UIImageView (the image in the PFObject will be a NSData type). Get the user that uploaded the image and put it in a label with the creation date. Add it to the scroll view. Once every object has been parsed, then set the bounds of the scroll view depending on the size and position of the last view. Build and run your app! If everything was implemented correctly, you should see the image and the comment you previously uploaded. Take some time now to play with the app, uploading some more images and comments, and seeing them appear on your wall! Hopefully you have seen how easy it is to upload and download objects based on PFObject and how to work with PFUsers in Parse!